For Throwback Thursday, I’m going to catch up on some of the outfits I wore in January. I’ve been too distracted by political activity to do my usual outfit posts! I joined a local Indivisible group, which I highly recommend. Indivisible aims to bring Tea Party-inspired, grass-roots activism to progressive causes, and it’s a good way to work with people in your neighborhood. 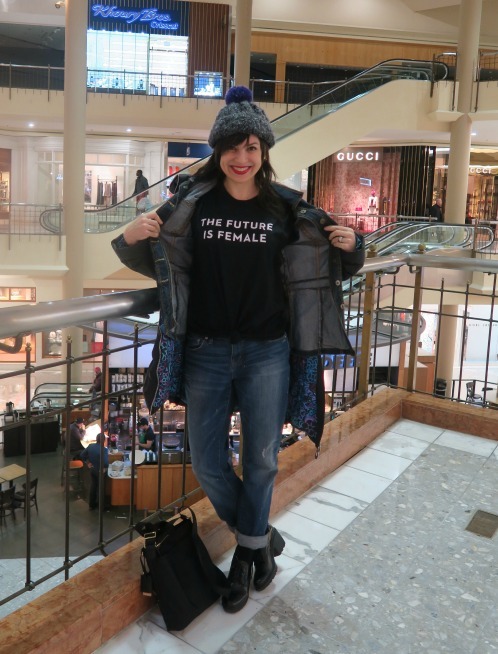 With politics in mind, I’ll start with an outfit that I wore in D.C. for dinner (in a mall), the night before the Women’s March on Washington. 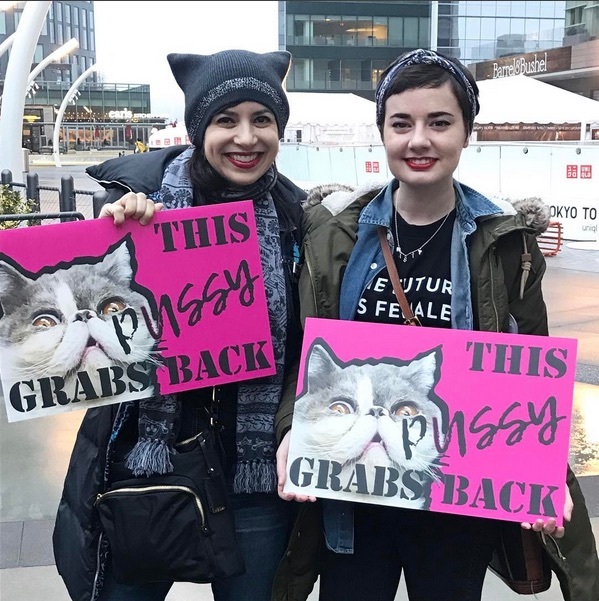 Eryn designed our signs with Purrkoy on them. … but, as you can see, mine is gray, not pink. I got it before the election, simply because I wanted a hat with ears! It had no political meaning back then. 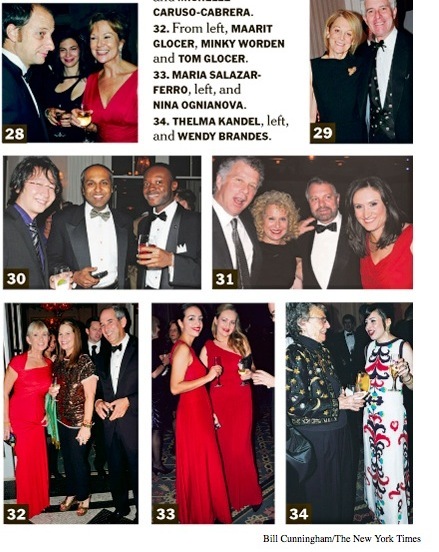 About a week before the march, I was looking much more glamorous at the Jewelers of America GEM Awards. Those are the Oscars of the jewelry industry. 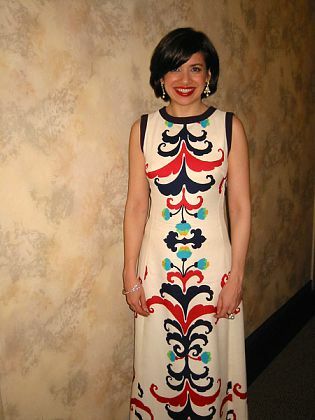 I wore a no-name vintage dress that I’ve had since at least 2005. Possibly 2004. Here’s how it looked this year (click the photo to enlarge). 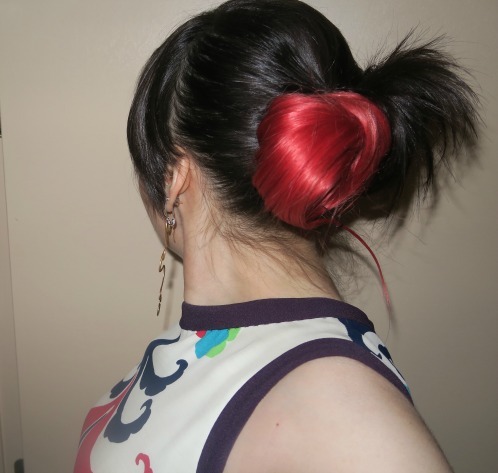 My hair stylist friend Julie Matos made the back of my hair interesting — with the help of a colorful hairpiece — to match the interesting back of the dress. … and again in 2011. My favorite picture of it was one taken by the late, great Bill Cunningham at the 2011 event. I’m in the lower right corner. Click to enlarge. I almost wore this one to the Vanity Fair Oscars party in February, but I decided on the “cash me ousside” dress instead. Also in January, we celebrated the Chinese New Year with friends who took us to a fun New Jersey restaurant called Shanghai Jazz. It’s not every day — or even every Chinese New Year — that you get to enjoy jazz and a lion dance during the same dinner. 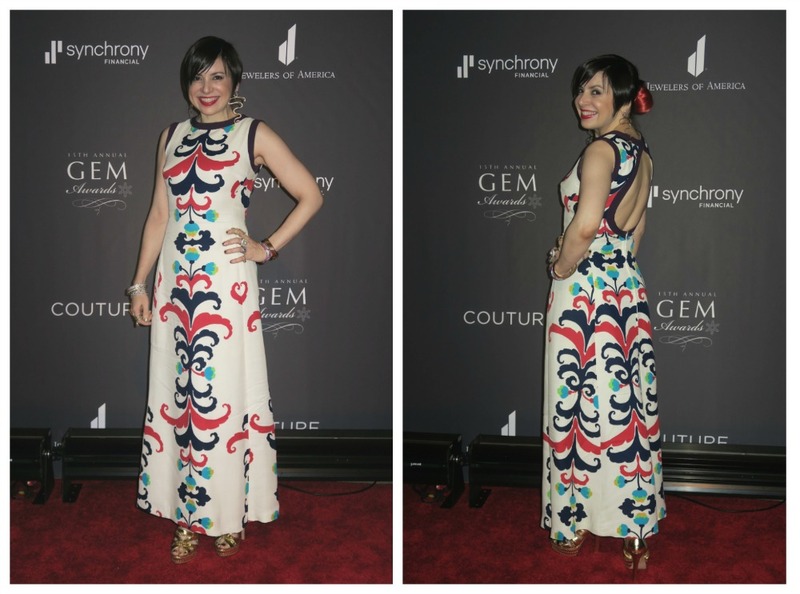 I wore a Shanghai-inspired qipao dress by Zang Toi. I have one more big January event to cover, but that deserves its own post. Stay tuned! Love seeing you in a casual setting/outfit for a change – proud of you for standing up for women, Wendy! Love that vintage dress, and am drooling over the Zang Toi.